We all know at this point that I love Wes Anderson right? So when Firebox sent me their Diabolical Nail Polish set based on the utterings of M. Gustave, the premiere concierge at the Grand Budapest Hotel, I was more than a little intrigued. With names like Physically Repulsed, Enchanting Old Ruin and Dynamite in the Sack, the guys over at Firebox know how to grab the attention of any Anderson fan. A delicate sheer pink, Physically Repulsive gives you the slightest wash of colour so your nails don't look too naked. Even with three coats the colour isn't that opaque so enjoy it for what it is. It reminds me of the delicate pastries found in Mendl's. A classy and sophisticated shade. Reminiscent of the bare walls of the jail M. Gustave and Zero spent some of their time in, this slate grey shade will be perfect for autumn (or the dull Summer weather). I used three coats of the polish to make sure it became fully opaque but you could probably get away with just two. Also, there's no top coat on these swatches so check out that shine! Another autumnal shade to crack out in September, Dynamite in the Sack is the same royal purple shade of M. Gustave and his fellow hotel staff's uniforms. Another two/three coater, this shade is a stunner. Now for some technical bits. The brushes are long and wider than your average so application is a doddle. The formula of all three is quite thin, hence the three coats on all of them. Just make sure you let each coat dry enough before applying the next, otherwise it'll be streak city. This post is a long time coming. I'm sure a few of you out there were waiting for H&M to announce their latest designer collaboration. After some waiting, we were treated to the news that Kenzo & H&M were joining forces to bring us a *hopefully* affordable collection with the signature Kenzo flair. I'm looking to colourful and loud animal prints and sports luxe styling. The past few collections haven't been brought to any of my local stores so on November 3rd, I'll either be glued to my laptop or I might treat myself to a trip to Dublin which will include a visit to the flagship shop in the capital. I don't think there will be such a big rush and commotion as seen with the Balmain collection but it'll still be very popular. I wanted to celebrate the news with some cool nail art and who doesn't love leopard print? My inspiration was a print from their SS16 collection (check it out here). Rather than being a conventional leopard print, it's a magnified version, with cool, almost bouclé detail at the top of the dress. Leopard print is always an easy one to do and has such an visual impact that it's usually my go-to nail art look when I couldn't be arsed doing anything else! 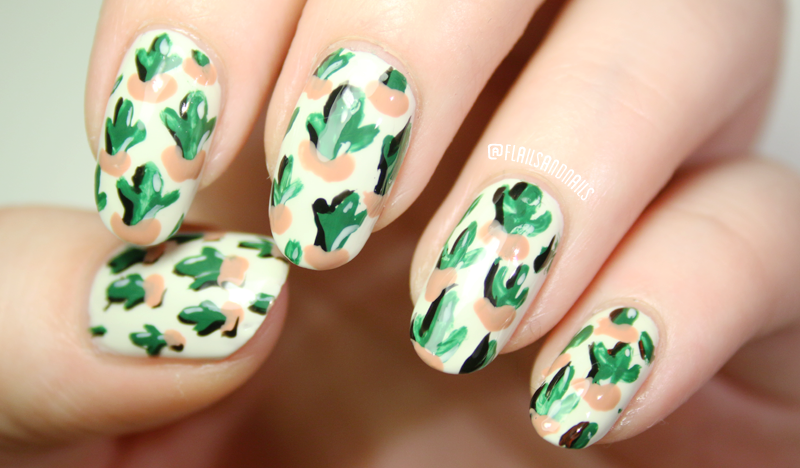 Cactus prints are EVERYWHERE right now. I think I'll just come out and say it. Cacti are the new flamingo! For summers to come I think the tropical bird will have to compete with the exotic plant for dominance on shirts, shorts, phone cases and home decor. Maybe through in the odd pineapple curve ball. 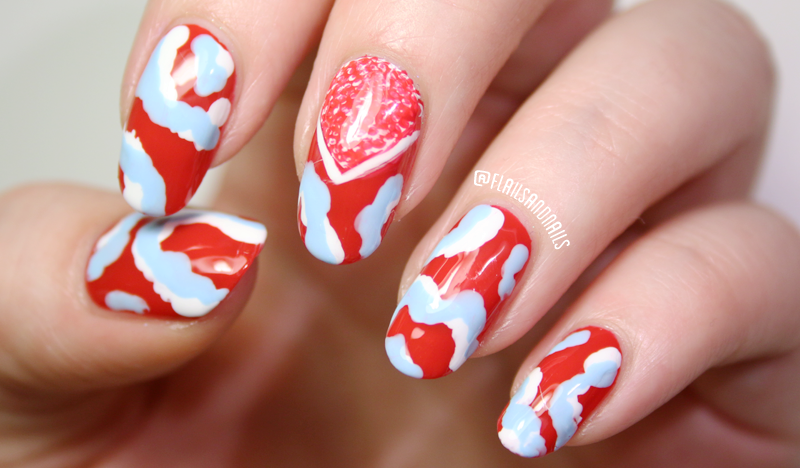 Anyway, I thought I'd put together a quick nail look to celebrate this cute new trend so let's do this! For this mani, I used Barry M Cream Soda, Beachy Keen, Black and H&M Wildwood but any similar shades will do. Paint your nails your base shade. 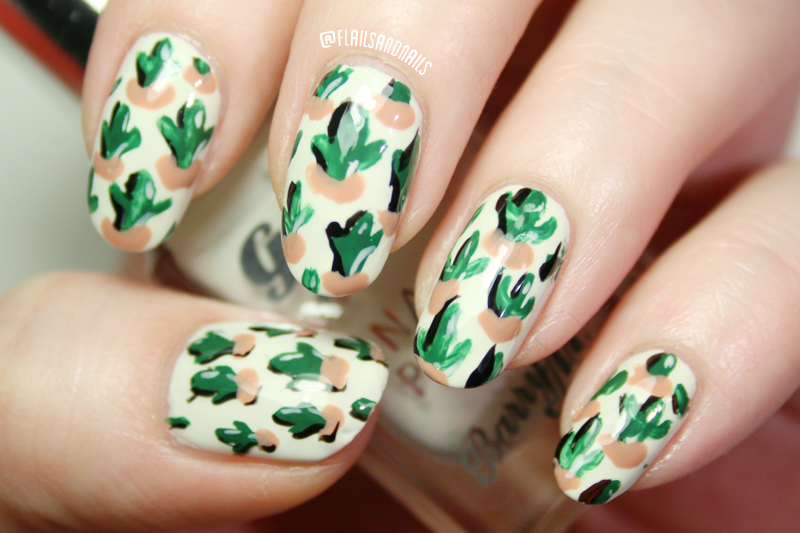 Once dry, use a small brush and start drawing your cactus shapes with the green polish. Try to mix up the sizes and placement of the cactuses. The shape is pretty straight forward. Just draw a line and a curved arm on each side. Using a thinner brush and black polish, add shadows to half of the cactus for depth. Using the same brush and your base shade (if you've stuck with white/off-white), add highlights on the opposite side of the cactus. And you're done. I hope you've liked this little post/tutorial. I think it's suitably summery. 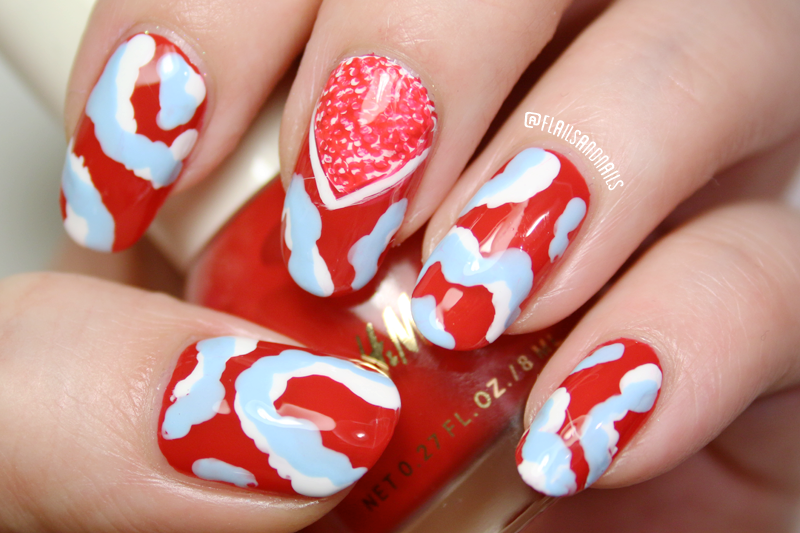 Let me know if you have any other ideas for cute summer manis you'd like me to try. Models Own have been keeping it pretty low key on new releases these past few months as they have been preparing for the relaunch of their website as well as the launch of a gazillion number of make up products. The new website looks GREAT and so do all of the new products (those lip gunks look like the bomb dot com!) but I think we were all secretly hoping there would be a new polish launch as well and here it is! Big love to the peeps over at Models Own for sending me the new shades to swatch for you guys. The Soft Pop collection is a new addition the Hypergel range from the brand. A bold, new spin on the traditional spring pastel, these polishes pack a punch of colour without being too OTT. If you wish the Polish for Tans range was a bit toned down, then this one might be the collection for you. Join me under the cut to see swatches of all the new shades and my thoughts on them all.